Send sms easily with clout. 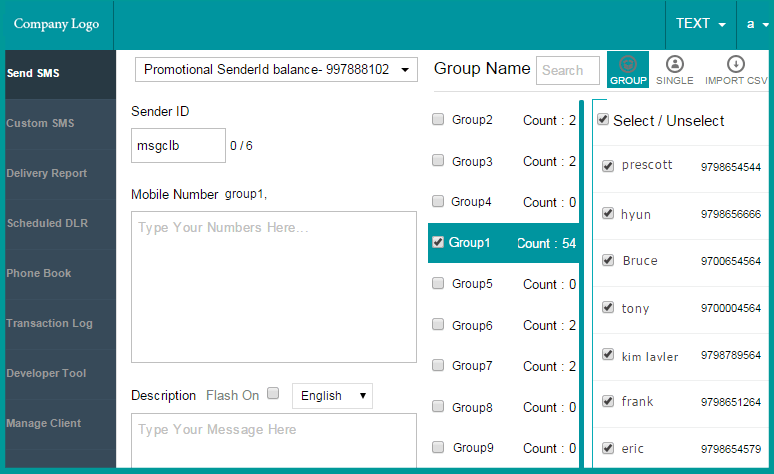 “Sender Id”, “mobile” number and “description” of sms is shown. Send your sms with this option.